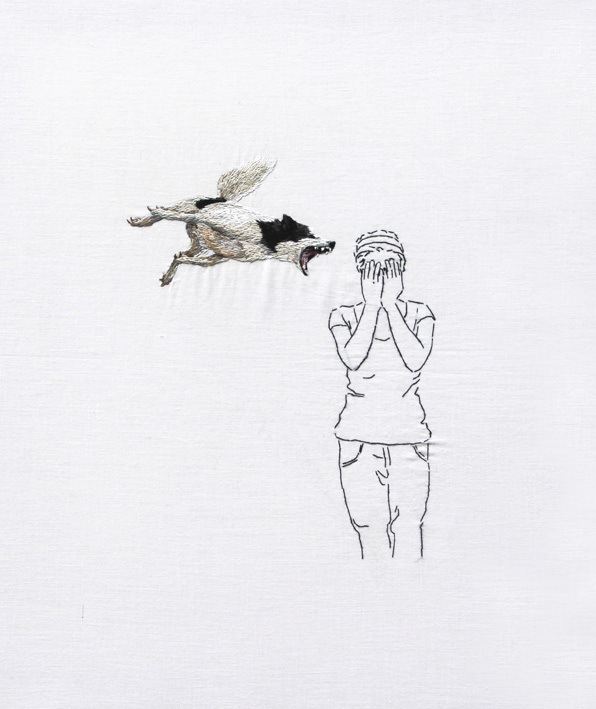 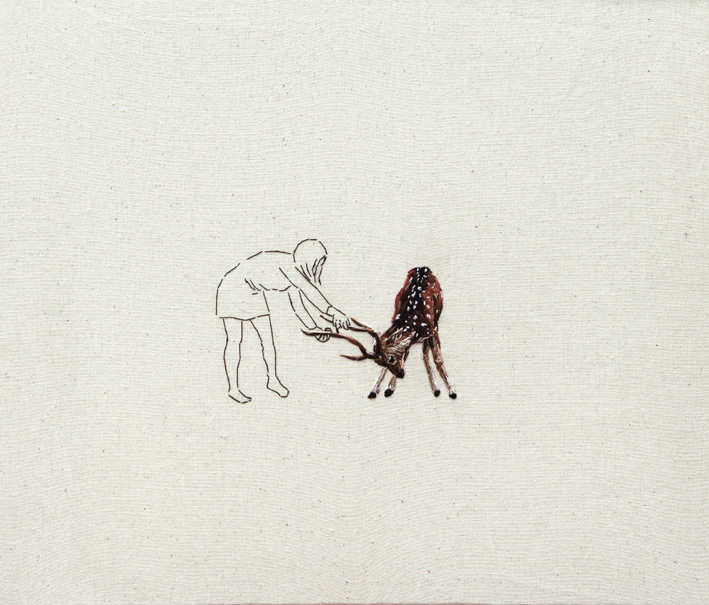 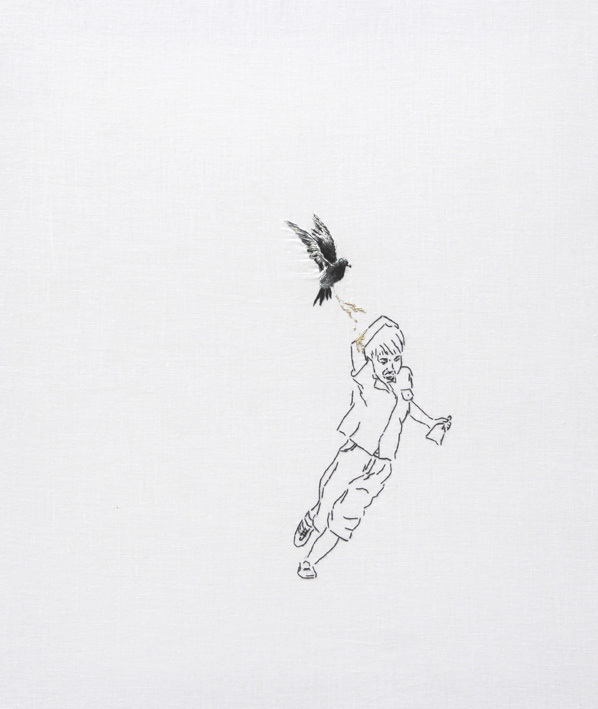 There’s so much I love about Ana Teresa Barboza’s embroideries: the small, simple, line-drawn figures paired with extremely detailed animals in vast white space; the absurdity of the costumed natural history museum specimens; the element of humor. 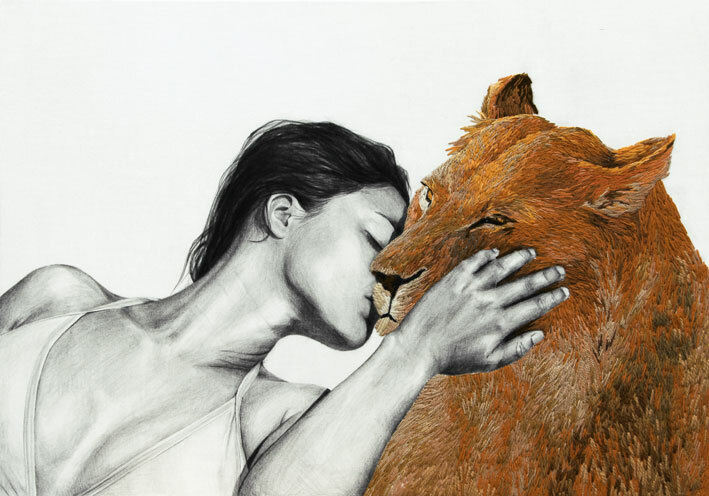 This work is so unique, meaningful, and intricate. 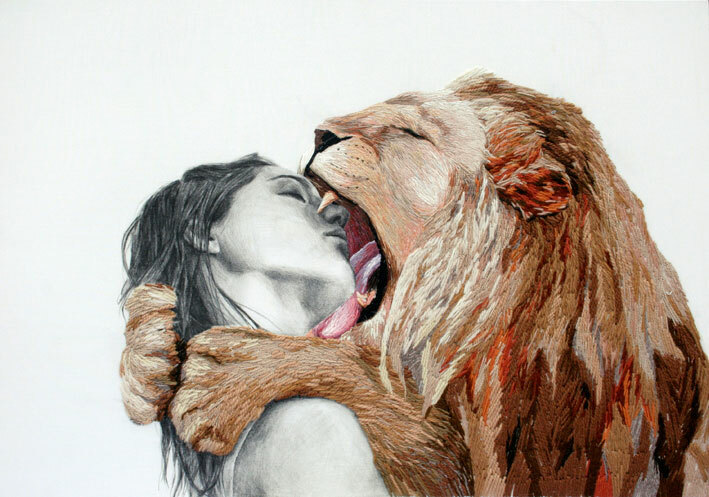 I was a Photography and Fiber double-major for a while, and I always love seeing artwork that combines the two media. 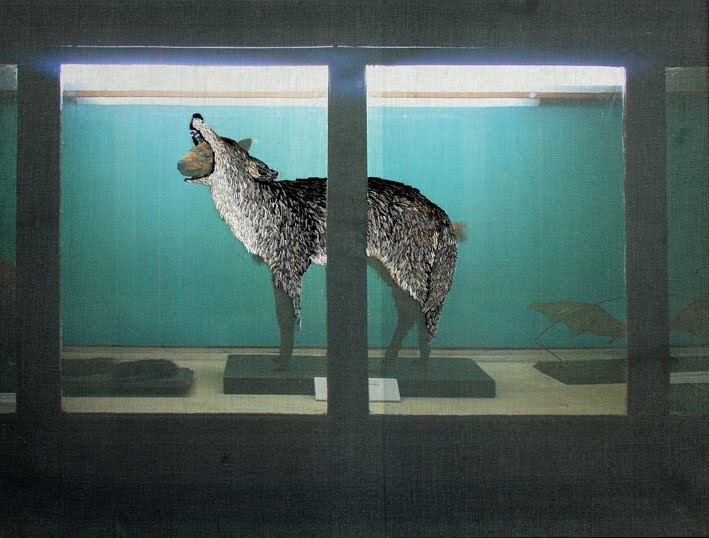 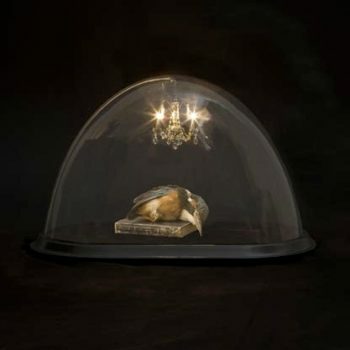 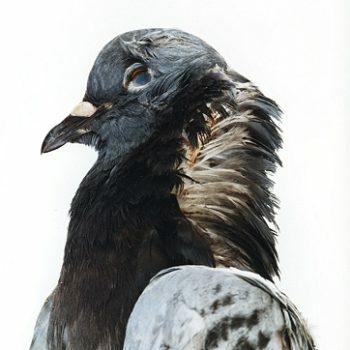 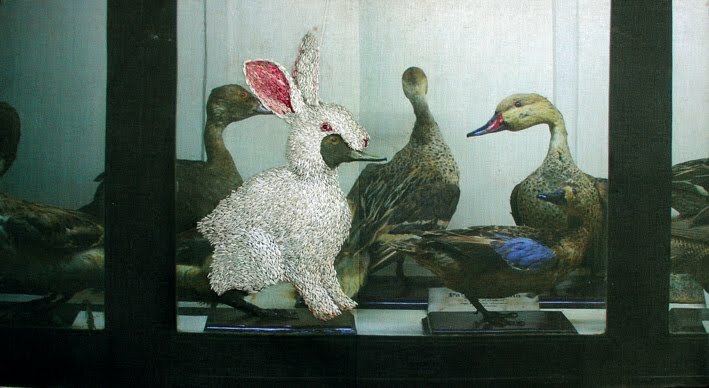 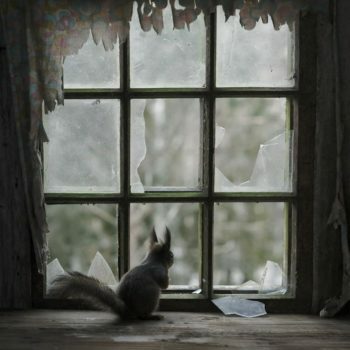 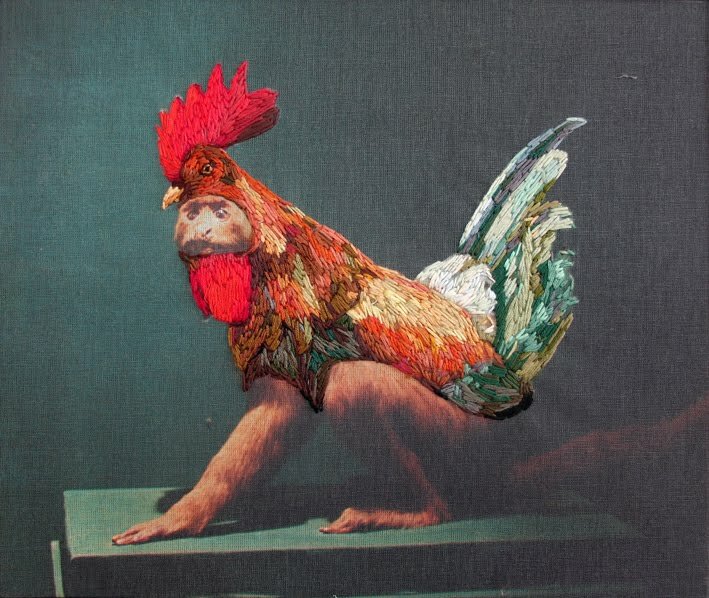 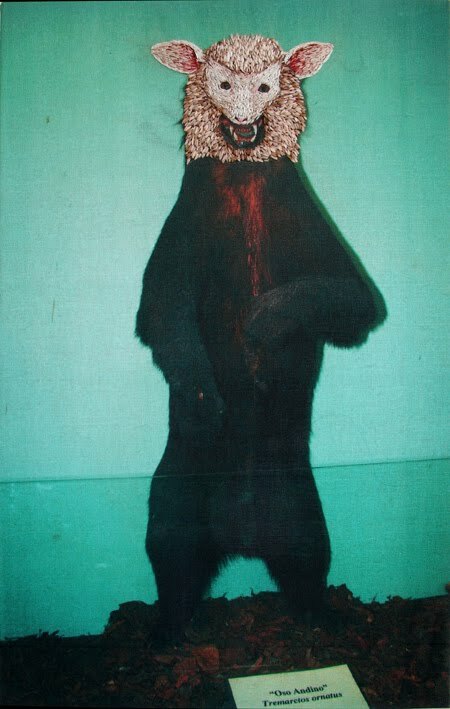 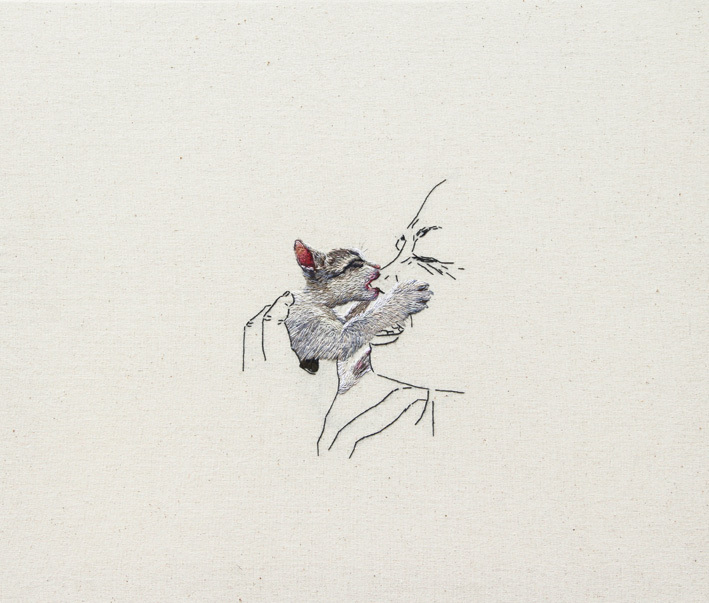 I think the last four images, photo transferred and embroidered taxidermy animals, are fantastic!